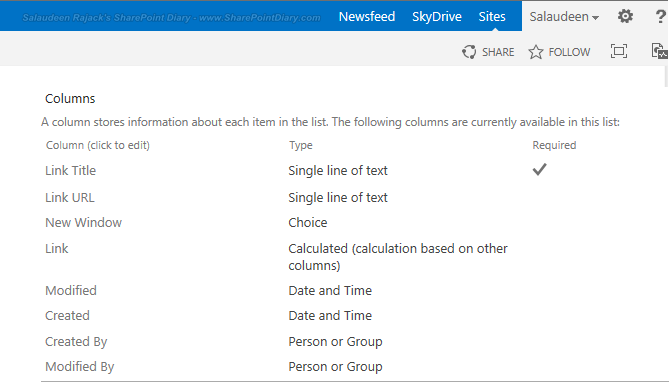 I explored various methods to make SharePoint link list to open in a new window at: SharePoint Link list: Open in a New Window, While the methods discussed in the article are applicable for SharePoint 2013 too, there is a one more: using calculated columns! Lets drill down in detail with SharePoint 2013 to make links to open in new window. How to make SharePoint link open in new window? Here is the idea: Create a new custom list and make these changes to the list. 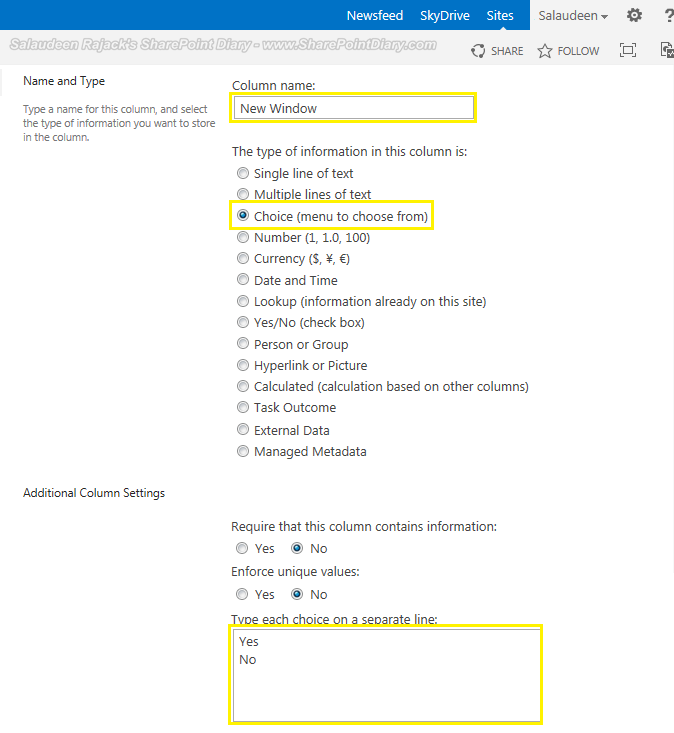 Rename "Title" field to "Link Title"
Add a field "New Window" of choice with "Yes", "No"
So now, When you add new entries to SharePoint list, set the choice field to "Yes" to make SharePoint 2013 link list open in new tab. 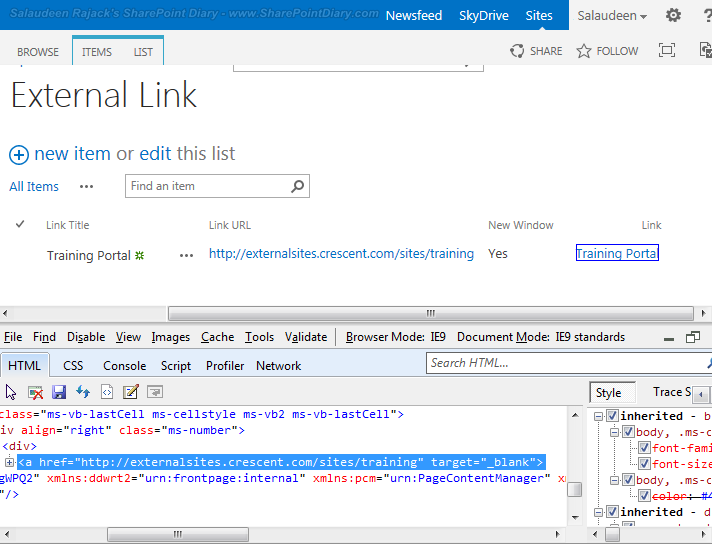 BTW, the above method of opening SharePoint 2013 links list to new window works on any version of SharePoint! Hi, is there any way to get the calculated column to align left, using this method? Thank you. Is there a way to have the url links open in a new browser window rather than a new tab? Client wants documents to open in a window so they can resize them to view side by side on their monitor rather than opening multiple tabs. THANK YOU! THIS SOLUTION IS JUST WHAT I NEEDED! 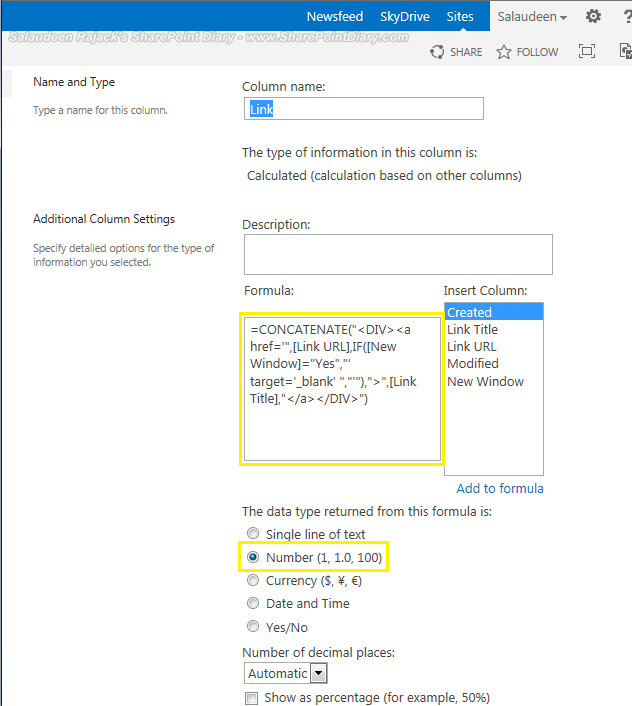 Where you able to solution the SharePoint issue: "Open in new window, linking to a calculated column'? I do get the new window, but not with my link. It literally states, "BlankPage". I too suspect the double quotation, but my experiments haven't been successful. Thank you!